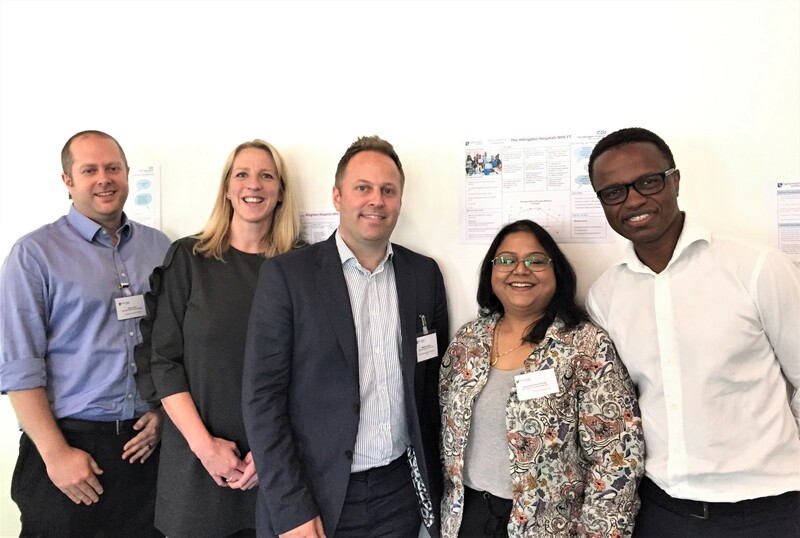 Following the pan-London workshop in October 2017, more than 20 London trusts opted to form two new digital outpatient collaboratives focusing on virtual consultations and streamlining outpatient processes. Facilitating the collaboratives, DigitalHealth.London will link groups to the expertise and resources they need to implement solutions in their areas; whether it’s managing change, planning and evaluating projects or sharing results and learning. Each forum will provide opportunities for networking and shared learning between trusts. Free to join for NHS organisations, these new collaboratives will assist trusts to accelerate the shift to digital outpatient transformation, in line with the Five Year Forward View and Carter Review. In just four months the London trusts taking part in the London digital outpatient collaborations have made fantastic progress. Here is a snapshot of the digital solutions they shared at the final collaboration showcase event. Hillingdon Hospital NHS Trust team has streamlined its referral process and put in place a digital solution to replace a ‘lengthy paper based process.’ So far, they have reduced their referral time from 18 days to 9 days, reduced inappropriate referrals and improved patient experience and satisfaction results through Friends and family Test. 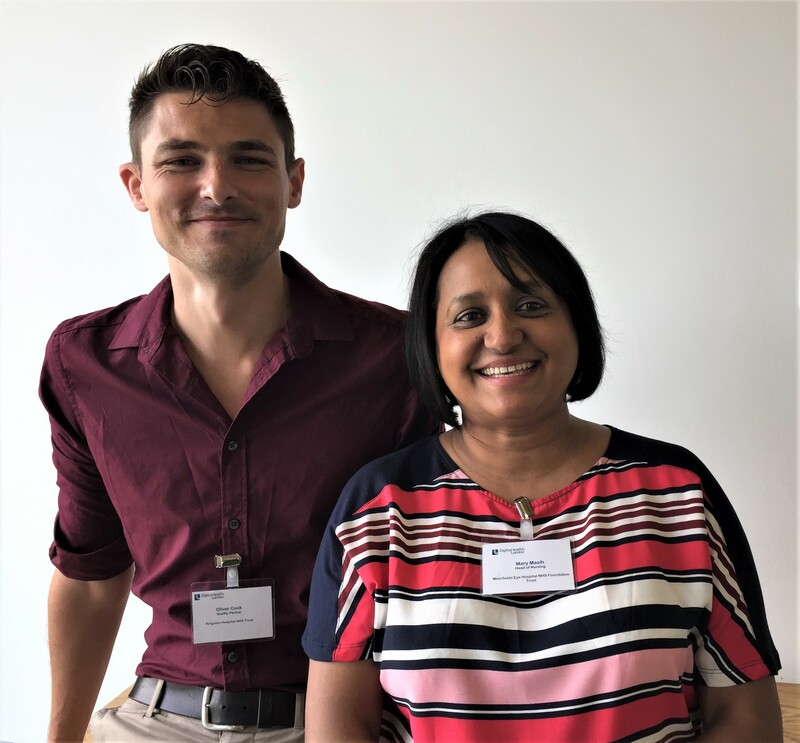 The team at Moorfields Eye Hospital aim to roll out Dr Doctor across the trust to reduce DNA rates and give patients greater ownership of their appointments. They are also improving how they capture ethnicity data to understand DNA rates and target awareness campaigns at minority audiences. King’s College Hospital NHS Foundation Trust is engaging effectively with patients using SMS via Healthcare Communications Ltd platform. They said a key learning was establishing a pragmatic approach and striking balance between engagement and meeting information governance. 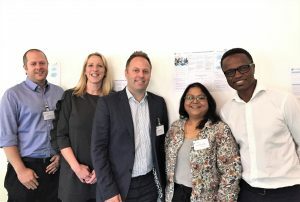 St George’s Healthcare NHS Trust project team is developing a virtual fracture clinic and Barts Health generously shared expertise and standard operating procedure/process map, so that St George’s didn’t need to reinvent the wheel. Oxleas NHS Foundation Trust have delivered 41 counselling and cognitive behavioural therapy video calls with clients since December.